13 You are salt for the earth. But if salt loses its taste, what can make it salty again? It is good for nothing, and can only be thrown out to be trampled under people’s feet. 14 You are light for the world. A city built on a hill-top cannot be hidden. 15 No one lights a lamp to put it under a tub; they put it on the lamp-stand where it shines for everyone in the house. 16 In the same way your light must shine in people’s sight, so that, seeing your good works, they may give praise to your Father in heaven. Bishop Pompallier at the signing of the Treaty of Waitangi, 6 February 1840. Bishop John Baptiste Pompallier of France, arrived in Hokianga, New Zealand, in 1838. A missionary founder of the Catholic Church in this country he was sympathetic to Māori concerns and had an enlightened view towards Māori culture. 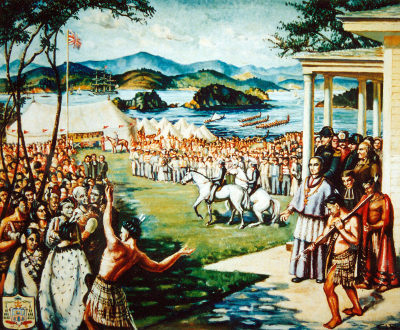 He was at Waitangi on the day before and the morning of the signing of the Treaty on 6 February 1840 – it was held across the bay from Kororareka, where he then resided. At the signing Pompallier pushed for a guaranteed freedom of religion and asked Lieutenant-Governor Hobson for his promise to protect the Catholic faith. This pledge is sometimes referred to as the unwritten ‘fourth article’ of the Treaty, to protect and recognise not only major western religions, but also Māori custom. Ko te Kauwhau i te Maunga te wāhi i whakaako a Hēhu i ngā ākoranga matua e pā ana ki te pononga. E mea ana te rongopai a Matiu, ‘ ko koe te tote o te whenua, ā, ko ahau te whakamārama o te ao’. Kua roa au e whakaaro ana ka pēhea ngā kōrero tā te Karaiti mō tēnei Rā Whakanui o Waitangi 177? Ka āta pānui koe i ngā ākoranga Tikanga Katorika a Iwi kua homai e te Huinga Pīhopa Katorika o Aotearoa, he hīnātore, he mōhiotanga kei reira hei whakatinana, hei whakaū i te āhuatanga o te tikanga rua i te ao tikanga maha nei. Nā ngā tapanga tonu ka whai māramatanga tāua, ka ākina tāua ki te ako i ngā hua o te tāmitanga, te muru whenua, te ngarotanga atu o te reo, te iwitanga, te mana tangata, te mamae me ngā nawe o ngāi Māori, arā ngā tatauranga whakatakē hoki. He mea miharo i reira te Hāhi i te hainatanga o te taonga, te Kawenata nei i te ono o ngā rā o Pepuere 1840. I reira o tātou tūpuna whakapono, nā konā i reira hoki tāua. Ka maumahara tātou ki te wāhanga tuawhā o te tiriti nā Pīhopa Werahiko Pomapārie i tuhi. ‘E mea ana te Kāwana ko ngā whakapono katoa o Ingarani, o ngā Wetēriana, o Roma me te ritenga Māori hoki e tiakina ngātahitia e ia.’ Ko tōna tikanga mō te whenua kia nohoia e tauiwi me ngāi Māori hoki ka tiakina rawatia te wāteatanga me te tapu o ngā whakapono katoa. Mēnā i ngā pari tapu o Ruahine te Karaiti e tū ana i tēnei rā tonu, e whakapono ana ahau ka tohua tāua ki te whakaako i ngā kōrero tuku iho nei ki ō tātou mokopuna, kia maumaharatia, kia tangihia, kia whakanuia, kia noho oranga ngākau ngā uri whakatupu i roto i te harikoa o te tika. I tēnei rā ka tonoa tātou e te rongopai kia whītikina e tātou te māramatanga ki ngā tūāhuatanga katoa. Ko tāua te tote e kinaki nei i te namunamuā o ngā kōrero, kia kore ai ēnei tino kōrero e memeha ki te pō. E ai ki ō mātou tūpuna, ā ‘Ko te kai a te rangatira he kōrero’. Kia kōrerohia te kōrero pārekareka o Waitangi ki ngā tēpu kai, ki ngā kura, ki ngā wāhi mahi me ngā pārihi, ā mā te āwhina o te Atua tāua e tū hei Kaiwhakarongo, hei Kaimahi. Kia tau mai ki a tātou ngā whakapainga o te aroha, o te harikoa me te rongomau ērā i kōrerohia, i īnoia i mua rā e ō tātou tūpuna i tēnei Rā o Waitangi. The Sermon on the Mount is where Jesus teaches us some of the primary teachings of how to be a disciple. Matthew’s gospel says, ‘you are the salt of the earth and I am the light to the world’. I have often wondered what Christ would say about this 177th celebration of Waitangi Day? 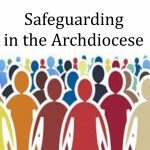 The New Zealand Catholic Bishops Conference gives us a glimpse of how we may apply Catholic Social Teachings through articles they have printed to reaffirm our bicultural commitment in a multi-cultural society. 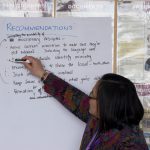 By their very titles we get a sense of how you and I are encouraged to be informed of the effects, of colonisation, the loss of land, language and culture, dignity and the residual effects, which has seen tāngata whenua suffer such negative statistics. In a very special way the Church was present at the signing of this taonga treasure, this Kawenata Convenant on 6 February 1840. You and I were there through our ancestors in faith. We remember the 4th article of the treaty penned by Bishop Jean Baptiste Pompallier. ‘E mea ana te Kāwana ko ngā whakapono katoa o Ingarani, o ngā Weteriana, o Roma me te ritenga Māori hoki e tiakina ngātahitia e ia’, which means: ‘The Governor says that the several faiths (beliefs) of England, of the Wesleyans, of Rome and also of Māori custom shall alike be protected by him’. This article guaranteed religious freedom for all in the new nation, including Māori. If Christ were to stand on the sacred cliffs of Ruahine I am sure he would ask us to teach our mokopuna the story of Waitangi, to remember, to grieve, to celebrate so that we and successive generations may delight in its truth. Today’s gospel asks us to bring light and clarity to all situations. We are the salt that brings flavour to the dialogue, that discussion will not be lost and allowed to slip away into darkness. Our tūpuna have a saying, ‘Ko te kai a te rangatira he kōrero’, that is, ‘The food of rangatira is dialogue’. 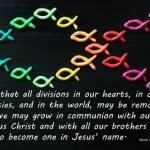 Let the great story of Waitangi be told around our kitchen tables, in our schools, in our work places and parishes, and with God’s help let us be the Hearers and Doers. May the blessings of love, of grace, of joy and everlasting peace that our ancestors spoke of and prayed for be with us all this Waitangi Day.